Today we're going to bivert a Game Boy! But what exactly does that mean? The practice is common among modders with backlit Game Boys. When you install a backlight, the orientation of the new polarizing film will affect the pixel quality in the display. The image quality can be improved by inverting the pixel signals, this is accomplished with the installation of a bivert chip. Essentially the display is inverted twice, but the results are amazing. There is one small side effect—the contrast wheel will work backwards. In this guide, I'm using a bivert board created by Deadpan Robot. This board has a bivert chip attached and is much easier to install. Before getting started, look for any signs of damage that might inhibit our ability to continue. Take count of any missing screws. When removing the battery cover, be extra cautious of battery acid damage. It’s not uncommon to find these devices in storage with 20 year old batteries left inside. However, it’s not the end of the world if you’ve found battery acid! 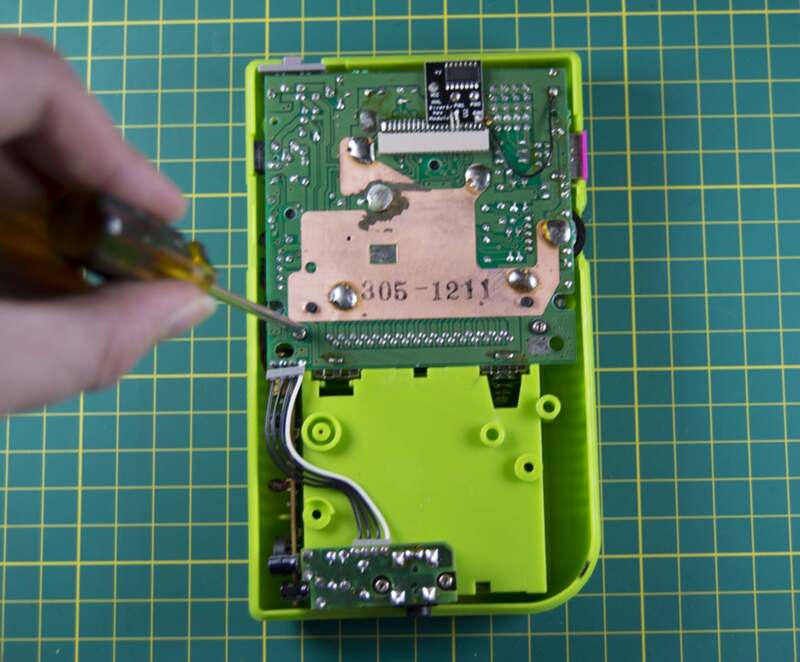 Check out our guide here on removing battery acid from your Game Boy. Most Game Boys are held together using 6 tri-wing screws. However, some really early models were released with phillips screws. Determine which screwdriver you’ll need and remove all 6 screws from the outer Game Boy shell. 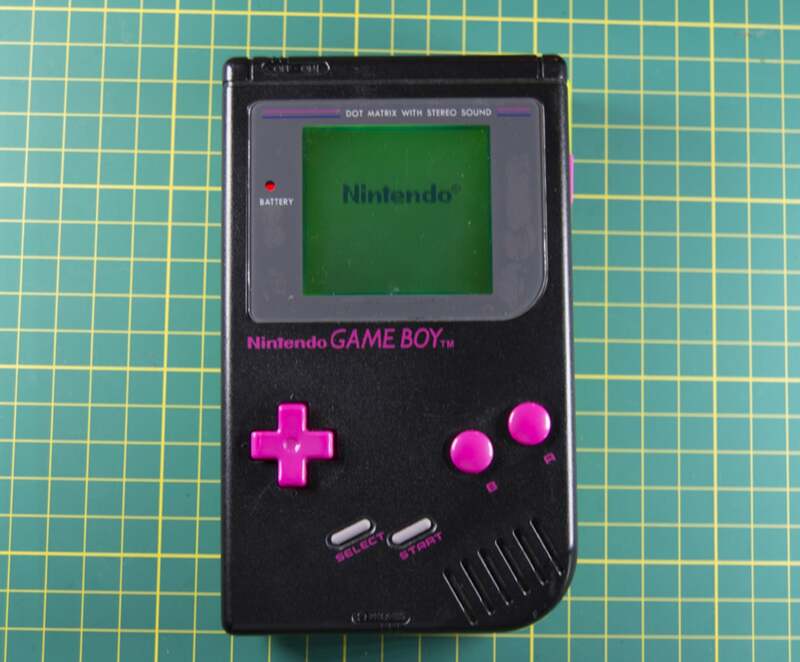 The Game Boy is made of two halves. These halves are connected with a delicate ribbon cable. This cable is very sensitive and responsible for handling display information. Any damage may cause irreversible damage to the Game Boy. Exercise extreme caution and gently unplug this cable from the back motherboard. The back motherboard needs to be removed to install the bivert chip. 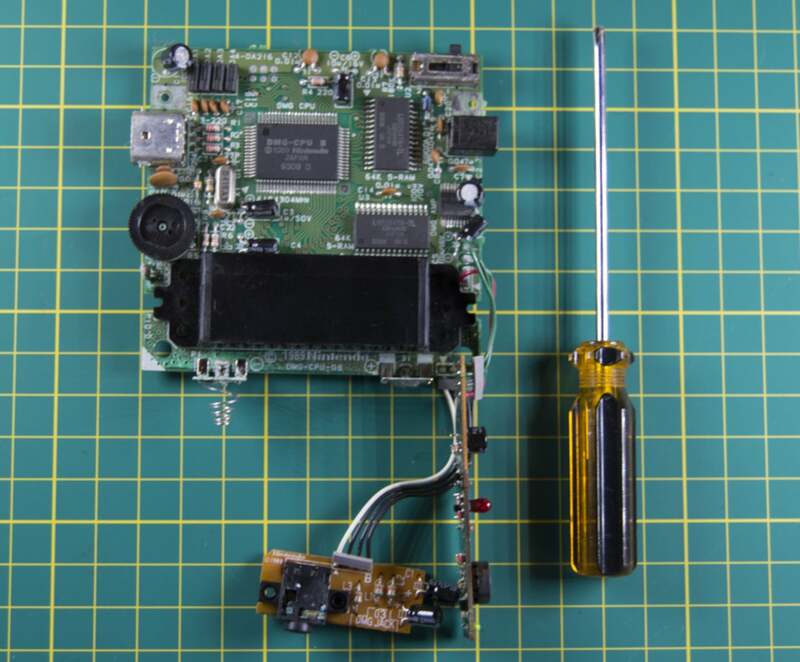 The board is held onto the Game Boy shell using 4 screws. Using a phillips screwdriver number 1, remove the screws. Gently pull at the back motherboard until it lifts from the shell. There are two pins that need to be lifted in order to install our bivert chip. They are the 15th and 16th pins from the left. 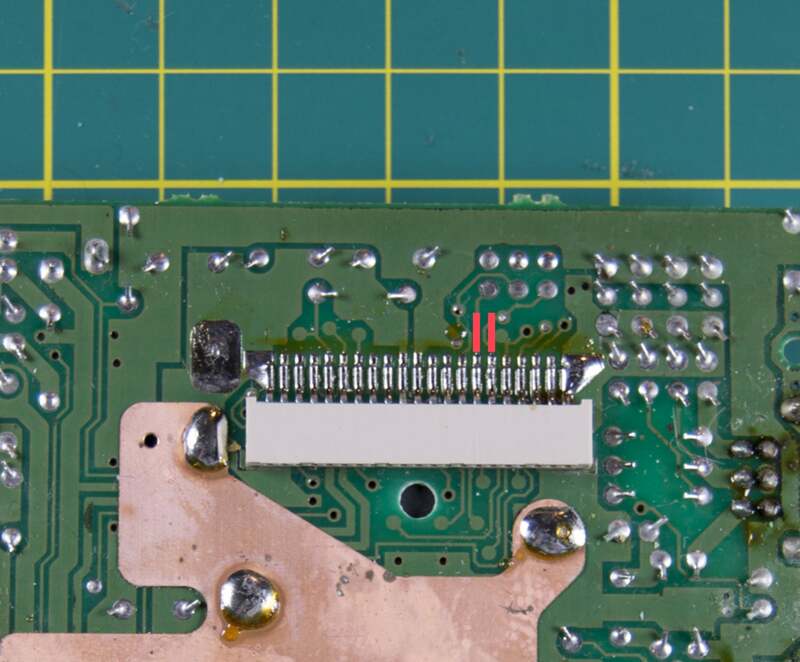 Using a hot soldering iron, heat the solder connecting the pins to the board. Using tweezers (or a suitable tool), gently pry the pins up from the board. Be careful not to break them or touch any other pins! 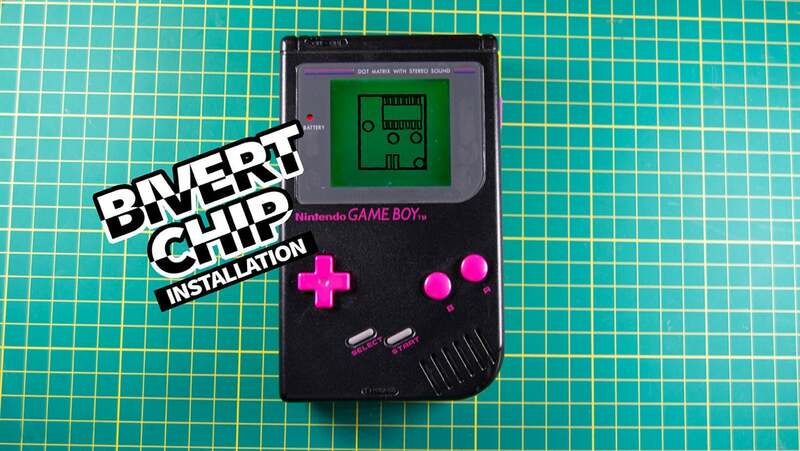 The bivert chip will align with soldering points on the Game Boy. Line up the chip to match the picture shown. 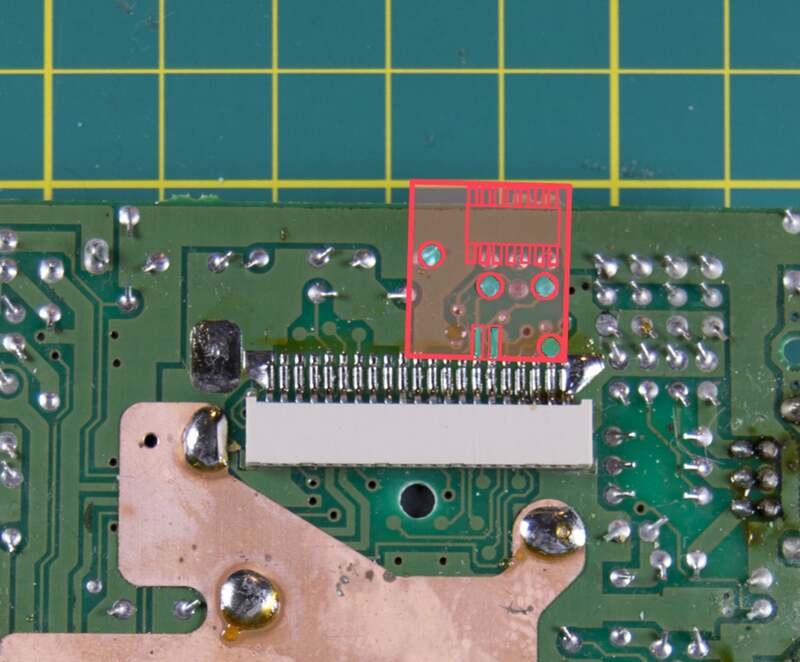 It’s time to solder this chip into place! The two pins will need to be soldered to the chip. Be careful not to solder them together. Consider using flux for a professional finish. There are four additional holes that need to be soldered. All six soldering points are outlined in the photo above. Note: The bottom right circle is for grounding. 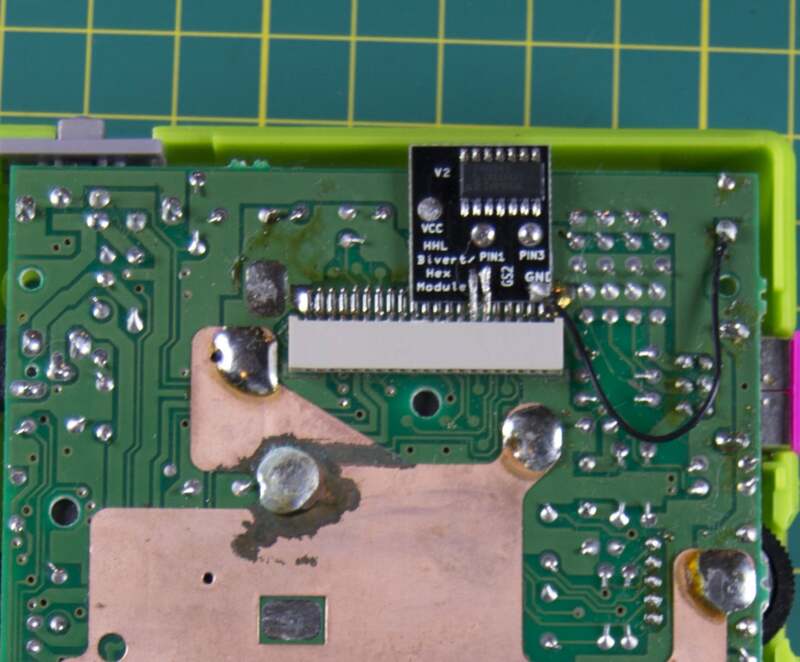 I used a wire to ground mine to the Game Boy, but you can also solder it to the blob of solder to the direct right of the pins—requiring no wire at all. It’s time to screw the back motherboard back into its housing. Using a phillips screwdriver number 1, screw the motherboard into the shell. There will be four screws used during this step. 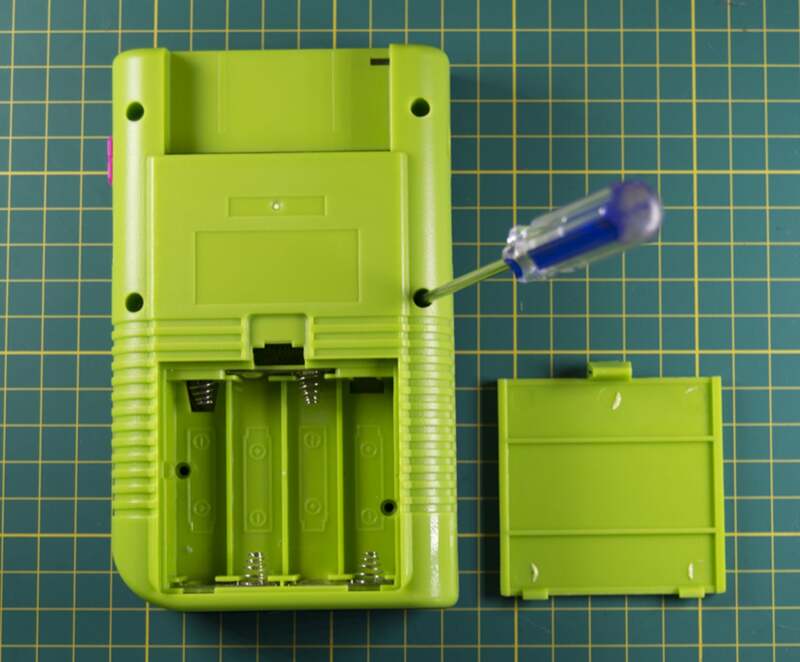 Carefully place both halves of the Game Boy together to make sure everything fits securely within the shell. The ribbon cable will need to be reconnected. Exercise extreme caution when handling this cable. Gently plug the cable into the back motherboard. Using an appropriate screwdriver, screw the Game Boy shell back together. There are 6 screws used during this step. Congrats! 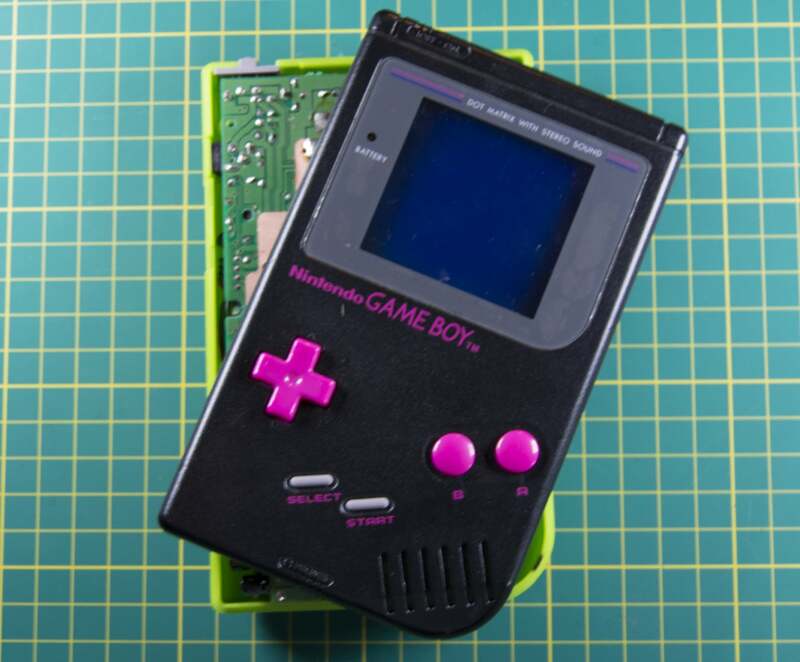 You’ve got yourself a custom biverted Game Boy. Pop in a fresh set of batteries and give it a test. Something not working right? 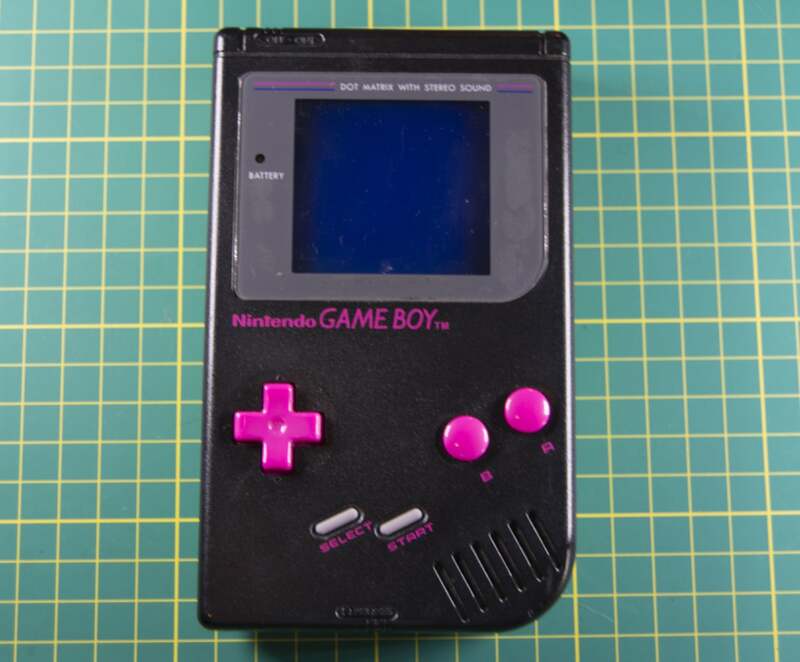 Visit our official Game Boy troubleshooting guide! Something wrong with your Game Boy? Let's fix it!